What did you love to eat as a child? Growing up in the 90s, I enjoyed the standard American fare as many others did, like meat, dairy, packaged snacks and heat-and-eat foods from a box. As I got older and changed my diet, I gave up some of the more popular convenience food brands. Fortunately, many of my old favorites, likes chips, cheese, bacon, cupcakes and toaster pastries, have now been re-imagined, plant-based style. Many of them are available at your nearest grocery store. Oh how the times have changed! Here are some favorite foods from childhood that have now been re-imagined, vegan style. Cheez-Its were a great choice for parties or nights when we wanted to veg on the couch. Instead of the usual brand, try a dairy-free version. Earth Balance makes Vegan Cheddar Flavor Squares that do not contain any GMOs or trans fat. Enjoying a sandwich of ooey-gooey cheese between two pieces of buttered and toasted bread was a staple of childhood. I’ve always loved mine with cheddar and tomatoes. Try making the whole sandwich vegan! Use Earth Balance Buttery Spreads instead of butter and Teese Vegan Cheddar Cheese instead of the dairy version. Like many from the Cincinnati area with German Ancestry, I’m a huge pretzel lover. As a child, I would get those gigantic soft pretzels at fairs and smother them in mustard. 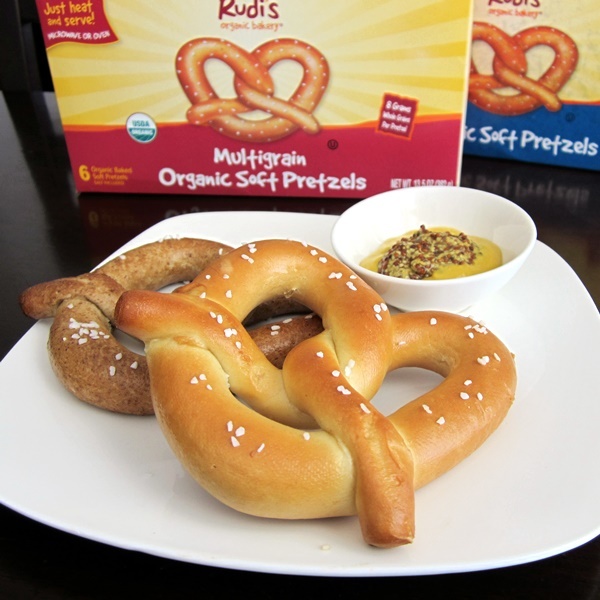 The Rudi’s Bakery Multigrain Soft Pretzels are an organic, healthier version of this treat. Remember grabbing some nachos and cheese-like sauce from the concession stand at the public pool or baseball games? It was SO yellow and so delicious. Pop open a bag of tortilla chips, melt some Teese Nacho Cheese Sauce and let’s party! Sour cream and onion is pretty much the best chip flavor ever. Earth Balance makes Vegan Sour Cream & Onion Flavor Kettle Chips that are gluten-free, non-GMO, and kosher. They also contain zero grams of trans fat. Pretty much everyone likes bacon, and it was a staple food item for breakfast in my household. 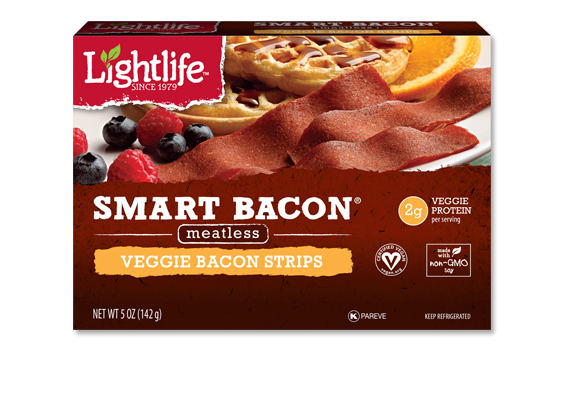 For a healthier, meat-free way to enjoy this classic favorite, try LightLife Smart Bacon. This flavor doesn’t need to have dairy products, but you’ll find some brands that use milk. 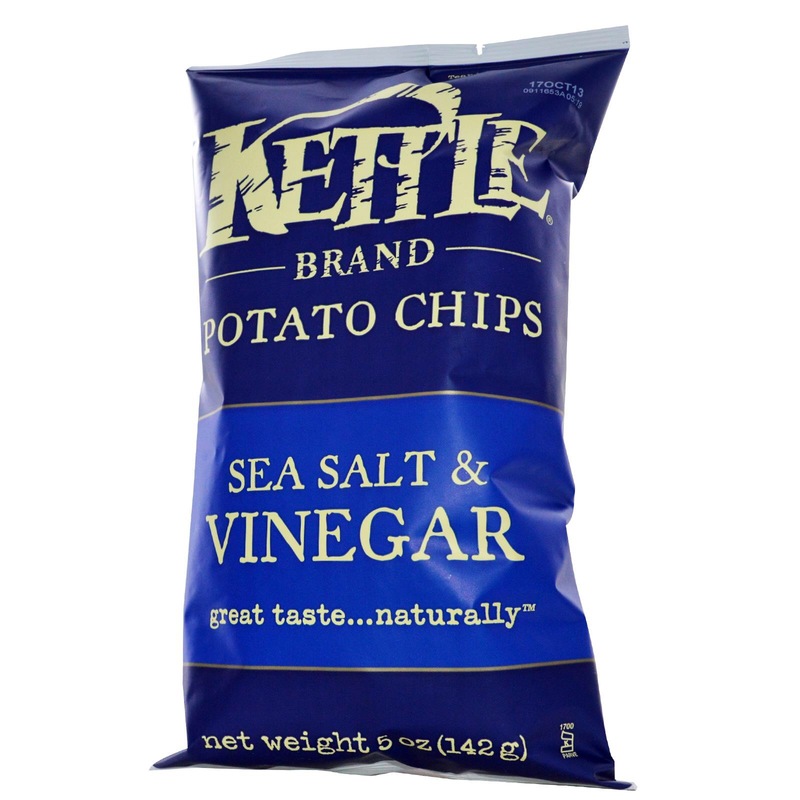 These Kettle Brand Sea Salt & Vinegar Potato Chips are vegan, crunchy and just the right amount of tangy. Doritos were always awesome for after-school snacks or in little bags that accompanied our packed lunches. Now, Beanfields makes Ranch-flavored chips from beans and rice. They’re gluten-free and contain four grams of fiber and four grams of protein per serving. I used to love that cheesy popcorn from fairs or those holiday jumbo tins. 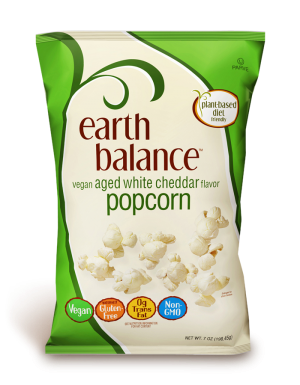 For cheesy popcorn, look to Earth Balance. They have a Vegan Aged White Cheddar flavor. It’s gluten-free and non-GMO. When I was old enough to stay home in the summer and babysit my younger brother, I liked making us KRAFT Macaroni & Cheese. Even if my mom had recommend some healthier fare, my we loved easy-to-make stuff like KRAFT. The Vegan Cheddar Flavor Mac & Cheese from Earth Balance is spot-on and even more delicious than the old version from KRAFT. When we wanted to be lazier than typical days during my teenage summers, we made Stouffer’s Macaroni & Cheese from the oven or microwave. All we had to do was pop it in the oven and wait. To mimic the comforting meals of childhood, I make Rice Macaroni With Dairy-Free Cheeze from Amy’s Kitchen. It’s gluten-free, dairy-free and soy-free. This is yet another American favorite that I enjoyed both at dinner time and as a snack when my family would make it for all sorts of occasions, from a casual dinner to our Thanksgiving feast. Try these Fluffy Mashed Potatoes from The Post Punk Kitchen. Don’t forget the gravy! We all knew we had to eat our vegetables as kids, but admittedly I was always more excited to order French fries or mashed potatoes as a side at restaurants. 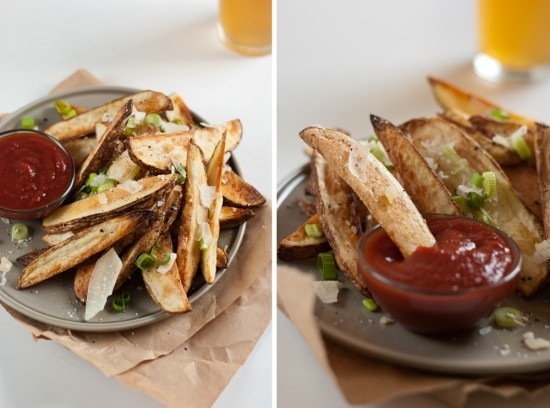 Try making your own fries using this recipe from Cookie & Kate. As a kid, I loved making cakes that came from boxes because it was ridiculously easy to do by myself or with friends. Funfetti cupcakes were often my go-to! Minimalist Baker has a Vegan Funfetti Cupcakes recipe that I can’t wait to try! Fudge bars were often the highlight of hot summer afternoons. The So Delicious Dairy-Free Coconut Milk Minis are dairy-free, soy-free and contain only one gram of sugar per serving. I had my fill of Kellog’s Pop-Tarts growing up, but I still haven’t stopped thinking about their taste from time to time. How awesome that the Minimalist Baker has a vegan version for us to try? This is one of the most classic of American desserts, securing their place in school lunches, bake sales, birthday parties and home kitchens in the evenings. Sans dairy and eggs, the Alternative Baking Company makes one tasty replacement. Snickers were one of my favorite candy bars growing up, always proving to be the gold standard when it came to searching through my massive Halloween candy bag. Now, Go Max Go Foods makes a Snickers-like candy bar called the Jokerz Bar. Also, Minimalist Baker has a Vegan Snickers Recipe, as does This Rawsome Vegan Life if you prefer to make them yourself. Jelly beans were always a fun candy to eat as children. To get that gummy, sweet taste of a fruit snack or the tangy punch of sour jelly beans, try YumEarth Organics Fruit Snacks and Sour Beans. I used to love the watermelon Sour Patch Kids, but now I satisfy my gummy craving with something a bit more wholesome. Try Surf Sweets Watermelon Rings. 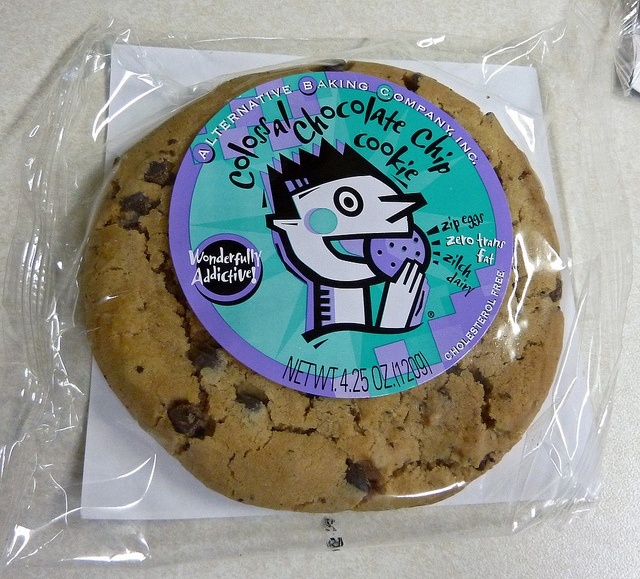 They’re USDA certified organic, certified non-GMO by The Non-GMO Project, gluten-free AND made with organic fruit juice. I love Beanfield’s chips! And I’ll have to keep a look out for the Amy’s mac n cheeze. I just tried the Yum Earth Naturals snacks in my Vegan Cuts snack box from April too! Those sour beans are delish.